I’m not a winter person at all. I don’t like being cold and I’m really not fond of snow, especially when I have to shovel it. 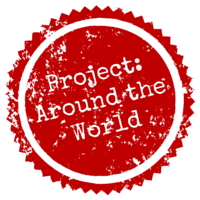 Luckily, Project: Around the World provided some welcome relief from the cold of winter. I was very happy that we reached The Bahamas during the coldest time of the year. We got to experience a little bit of warmth as we spent a day exploring this group of islands in the Caribbean Sea. The Bahamas are a popular vacation spot for those of us in North America thanks to its tropical climate and miles and miles of beaches. 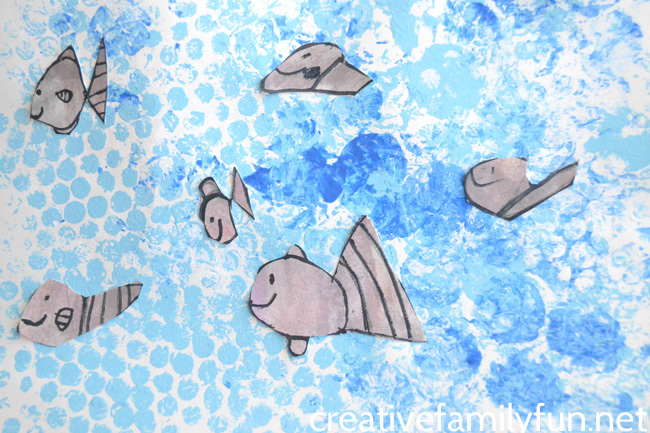 We went underwater to find our art inspiration and created these fun Layered Paper Underwater Art. Fun Fact: The Bahamas is home to the largest flock of flamingos in the world! They make their home at Inagua National Park. When my girls and I started Project: Around the World last January, I had no idea how much we would love it. We’re learning so much about the world, making quite a lengthy travel wish list, and having fun together. We’ve made it though one year and all the countries that start with an “A,” now it’s time to move on to another year and another letter of the alphabet. 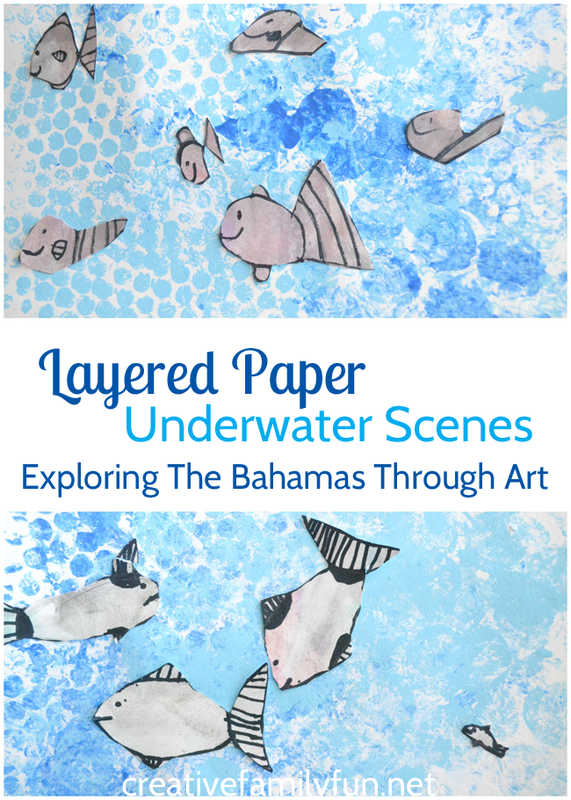 We used two different art techniques to create our paper and combined the two together for our finished underwater art project. The first technique we used was wet-on-wet watercolor. This process is so simple and so fascinating. 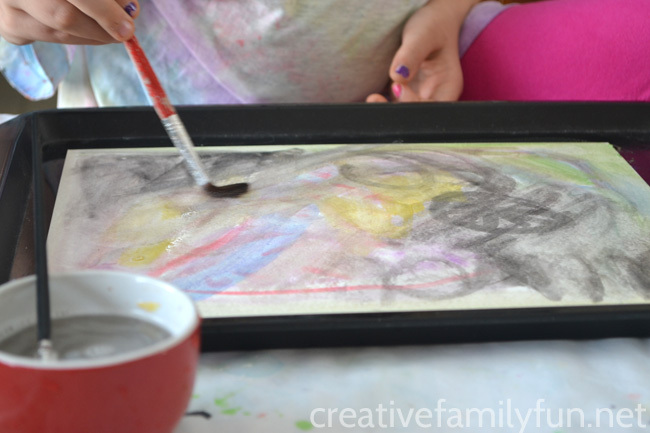 Kids can create beautiful artwork with this technique alone. The key to the process is using thick paper suitable for watercolors. Regular copy paper will tear easily once wet. Before painting, we soaked our paper briefly in water. Don’t leave it sitting in the water; you don’t want soggy paper. Once our paper was nice and wet, we use our pan of watercolors to paint the paper. We weren’t trying to make actual pictures, just a pretty colorful design. Tip: Put your wet paper on a plastic tray for painting, so you don’t get the table wet. While our wet on wet watercolors were drying, we used a printmaking technique to make our background. 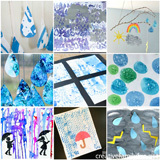 We used another sheet of watercolor paper, blue and white craft paint, and bubble wrap for this part of the project. Thanks to all the packages we received recently, we had a variety of sizes of bubble wrap to choose from. I cut small pieces from an assortment of bubble wrap. 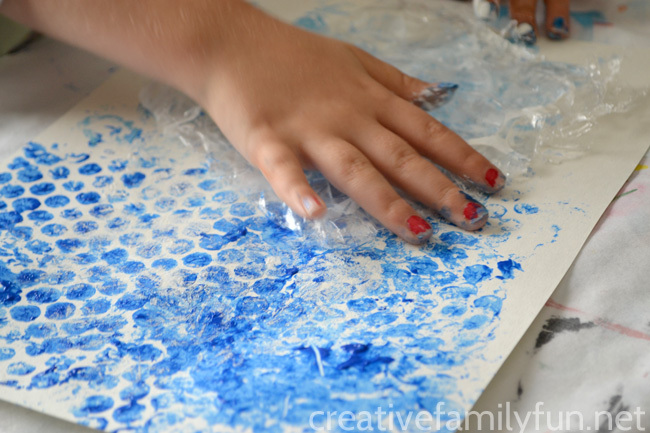 The girls used the paint to paint over the bumpy side of the bubble wrap. Then, they turned it over and pressed it onto their paper. They did this over and over using different colors of paint (blue, light blue, and white) layering it on top of each other until they were satisfied that it looked like water. We waited a couple of days until we finished our project. 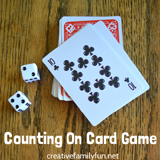 We had some plans which kept us really busy, which is why we waited so long. You only need to wait overnight for all of your paper to dry. Once everything was dry, the girls drew fish on their watercolor paintings. Then, they traced the fish and added details with a black Sharpie. They cut out their fish and arranged them on their bubble-wrap printed paper. For the last step, they glued all their fish to the paper. It was so much fun exploring a tropical location with a on a cold winter’s day with our underwater art. 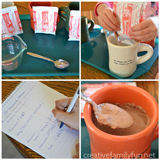 We stayed inside, stayed warm, and learned a lot. I love this project! 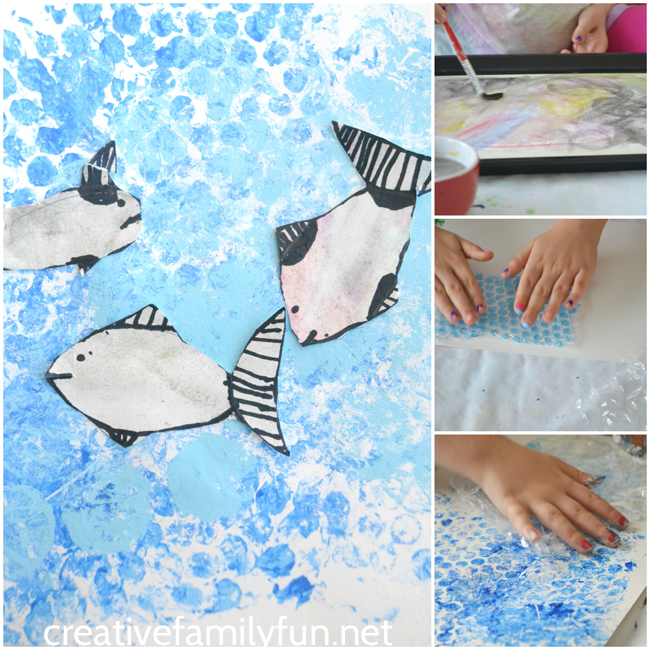 If you enjoyed this underwater layered paper art project, the above photo is perfect for sharing on Facebook or you can share on Pinterest. 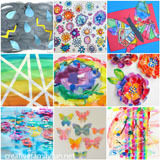 Travel the world without leaving home with art projects inspired by all the countries. To find all our projects so far, please click here or on the image below.